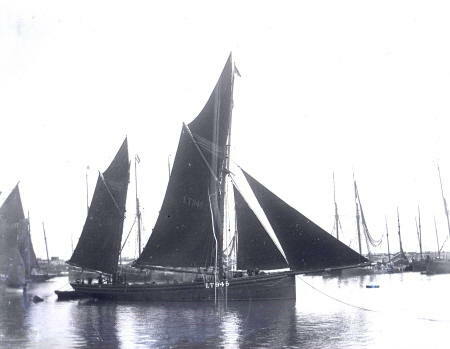 BF1936 believed at Lowestoft, named Palm.Cullen at the stern. 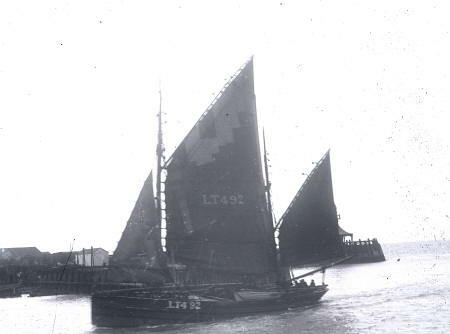 The vessel approaching is LT415. 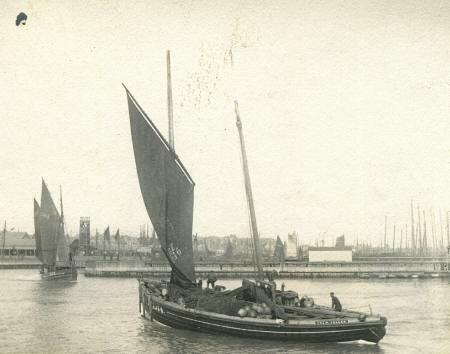 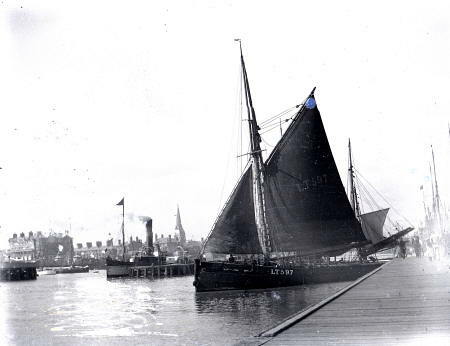 Lowestoft trawler LT597, J.W.F.T., at one time owned by AJ and Mrs ES Turner, leaving the quayside of the Lowestoft trawl dock with the Royal Hotel and St. John's church in the background.